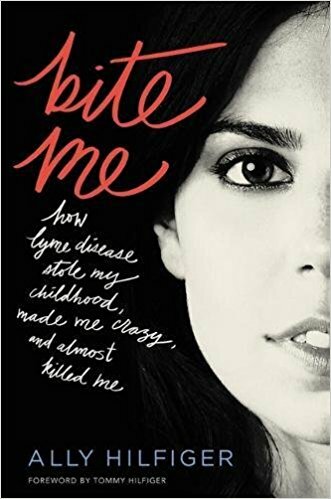 " Bite Me: How Lyme Disease Stole My Childhood " is a powerful memoir that I read in one sitting from start to finish. 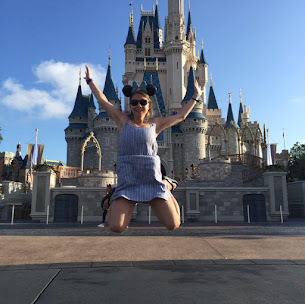 I could not put this book down because I was aboutely inspired by the personal journey that Ally was willing to take the reader on and how she displayed such determination during her young adult life. This book is amazing. I believe it is incredibly educational, worth your time and a powerful. It took eleven years for them to diagnosis and treat Lyme disease. While Ally had all the money, fame and high fashion industry at her hands, that could not save her. This book to me is an interesting parallel of how faith is such a huge part of my life and why in the end money doesn't matter. If you are looking for a book to center you and bring you back to reality, I recommend you grabbing this book. It will give you perspective about what is important in life and it will make you realize what is most important in life. Ally is an inspiration to all of us to have hope, strength faith and determination in the day of adversity. Not only will this book give you perspective, it will educate you and make you more aware of going out in the woods or checking for ticks on your kids. It won't make you paranoid, it will make you educated, informed and wise. I give this book 4/5 stars. A favorable review was not required and I was provided a complimentary copy by the publishers for my honest review. To purchase a copy, head here! I would love to rad this book.